The most iconic thing about a biker is the vest – you put your patches on it, you ride in it, your drink a beer in it; it has to look right. 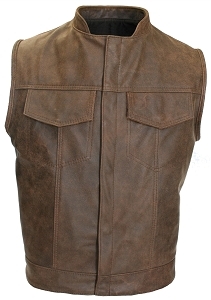 You can’t fake it, and Sons of Anarchy motorcycle vests bring a whole new level of cool to your style. 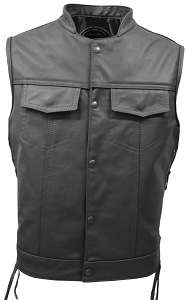 The SOA Motorcycle Vest collection keeps the cool going, even though the show ended. 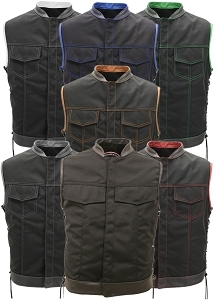 Available in rich and supple leather or tough Cordura, with hidden inner pockets, these club vests are built for the long haul, no matter what you’re hauling.